Montgomery Estates Stylish Single Story. 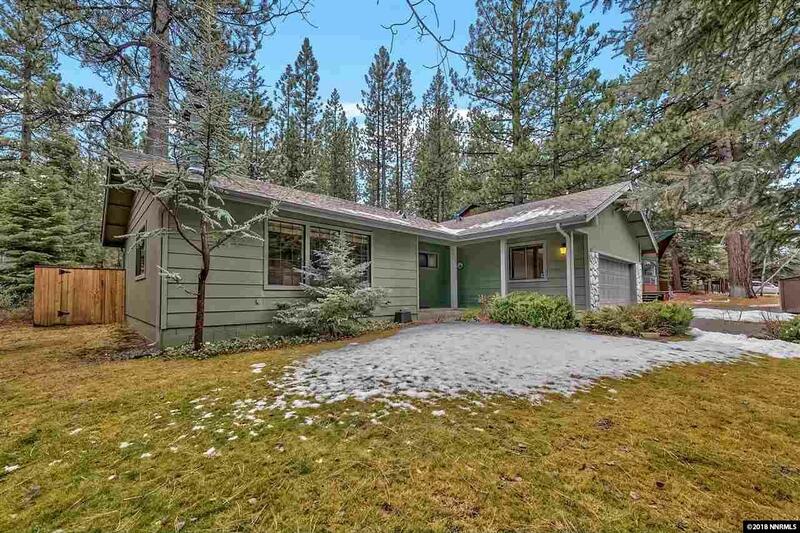 This charming three bedroom, two full bath Tahoe home is in beautiful condition. Move in ready with many upgrades. Living area features beautiful engineered hardwood flooring and high vaulted ceilings. Tumbled travertine tile flooring is featured in the kitchen, baths and laundry room. Beautiful lighting throughout. New stainless appliances. New washer and dryer. Newer 50 year composition shingle roof with tubular skylights. New FANG heating system.